As the splash page says, you can now join a ranked 6-vs-6 game, solo or with up to 5 of your friends, to play a Ranked game where the outcome of the game affects your Rank. Measured from 1-18, your Rank can go up or down depending on points scored and whether you win or lose. You can lose Rank and face temporary bans from Comp play by leaving a match or being disconnected. There seems to be an option for 9-vs-9 games as well, but it isn’t currently available. Quickplay now has the option to join a casual, unranked match where you play against players of similar Rank. “Unranked match” means that playing doesn’t affect your Rank, but does put you into a game with (hopefully) users of similar skill. To play, you need to be a Premium (not F2P) user. See this blogpost for more info on what Premium is. To play, you also need either a valid phone number registered to your Steam account OR buy a Lifetime TF2 Comp Pass. The Lifetime Comp Pass is not to be confused with the TF2 Comp Beta Pass. If you currently have the Steam Mobile Authenticator on your smartphone, you should already qualify. Sunshine is a traditional 5CP map designed for competitive 6v6 play that might remind you a little of Badlands. Has already seen UGC Comp play. A Halloween-themed clone, Sinshine, also exists, so expect it to show up in this year’s Halloween rotation as well. 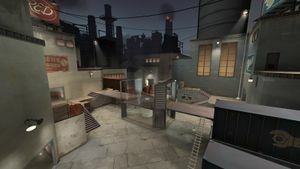 Metalworks is also a traditional 5CP map, set in a cloudy industrial setting at night. It’s as grey as your bosses’ hearts. Swiftwater is a payload map in a water bottling map in an Alpine setting. 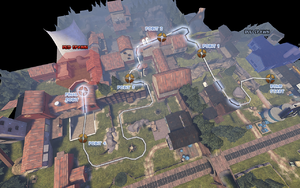 This map has seen lots of play in the UGC Comp Highlander ladders. Yeah, I’m out of time. Scroll down to read the patch notes–you’ll be glad you did. Have fun adjusting how you play Medic!! 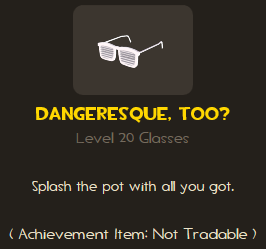 These taunts are currently only available for purchase in the Mann Co. Store, and not in a crate at this time. The Balloonibouncer has the Pyro jump onto a spring-loaded Balloonicorn and ride it… well, a little gentler than the Engineer rides his Bucking Bronco. $7.99 in Mann Co. Store. The Disco Fever has the Spy do a short disco-inspired dance for 8 seconds. $4.99 in Mann Co. Store. The Carlton has the Scout do a 6-second dance where he wishes he was related to the Fresh Prince, Will Smith. $6.99 in Mann Co. Store. Da da DAA daa…. The Fubar Fanfare has the Soldier play a sad trombone for 5 seconds. $4.99 in Mann Co. Store. Womp womp womp womp…. Nah man, it’s not a meme. These are item packages sold in the Mann Co. Store to outfit the class of your choice. They’re on the Home screen of the Store under the “Starter Pack” tab. Each item bundle includes one each of all of the non-Stock, non-promotional items for that class. 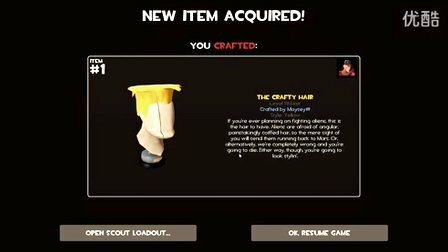 All of the items are Unique-quality, cannot be used in crafting, and they (and the item bundle itself, if left unopened) are tradable after a few days. 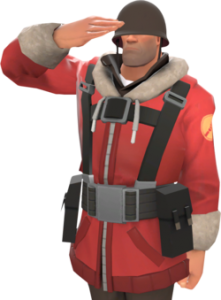 The bundles cost between US$2 and $6, with the Medic being cheapest (fewest items) and the Soldier being the most expensive (most items). Each bundle also includes one Name Tag, so you can rename your new favorite weapon. You can also choose not to open the bundle after you buy it, and trade or market it later. 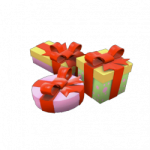 Perfect for gifting to noobs. 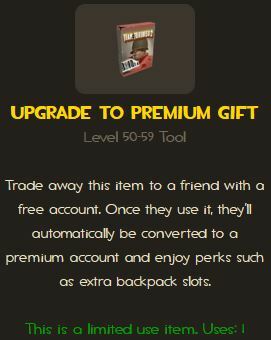 Called the “Unlocked Cosmetic Crates” in the Mann Co. Store, you can buy for US$2.49 (the same price as a key!) 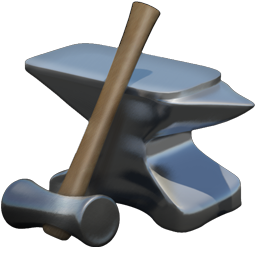 this tool item of the class of your choice. 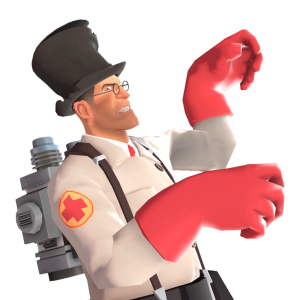 When opened, it produces one random cosmetic equippable by that class, with an unknown chance of it being Strange or Unusual. 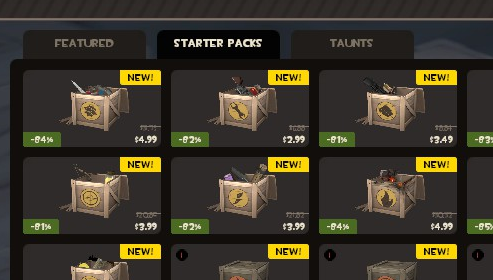 These crates are found under the same “Starter Pack” tab in the Store. We don’t know what the chances are for the item to be Strange or Unusual. We also don’t know if all-class or multiple-class cosmetics can drop from it, or cosmetics from certain series like Robocrates, or promotional items. The crates do say that any Strange or Unusual items pulled are hats only, so don’t expect to get lucky and pull an Unusual that wasn’t possible before. If a drop list becomes available, I’ll provide a link in the future. Consider this: It costs four refined metal + one class token to craft a hat of a given class (or three ref for a cosmetic of a random class), which is cheaper than buying this crate (or a key). But it can be a pain to bother finding a trading partner to trade enough metal, with keys being worth 20 ref for a while now. Also, all of the cosmetics for sale in the Mann Co. Store are minimum US$4.99, so whatever you get is a relative deal. 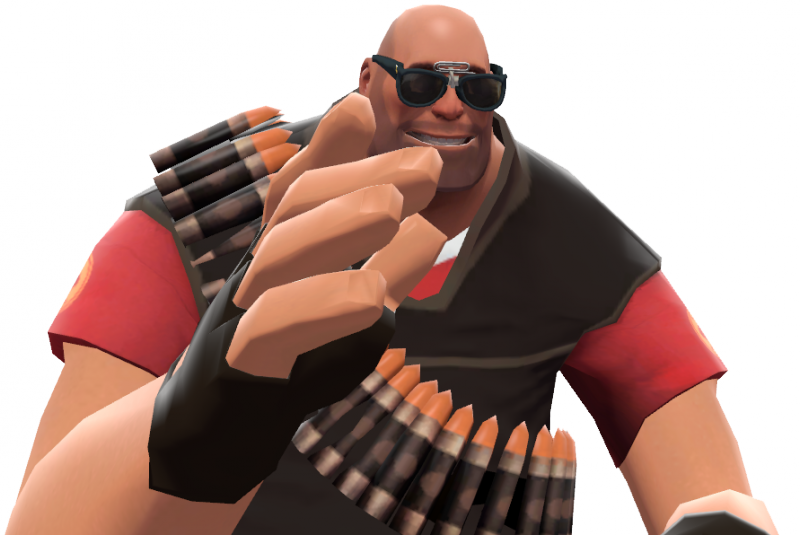 The TF2 community, as well as Valve, has gotten away from crafting or introducing new weapons into the economy (at least until the Pyro and/or Heavy future patches come out), and players are much more likely now to buy straight from Valve or the Market. 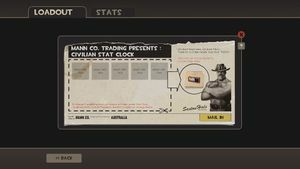 TF2Newbs still has two trade servers, #2 and #18, so you can try to find trade partners there. 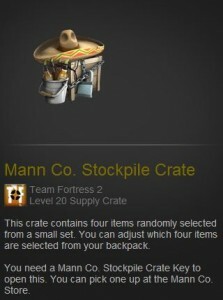 All (well, maybe most) crates in your inventory now include a list of the possible items within. If you mouse over the items, you get a pop-up picture of the item, so you can see better what possible items are in the crate. As always, the full patch notes are from the Official TF2 Wiki. Patch 1: The Meet Your Match Update has arrived! Added an Alt-fire attack — reach out and shove someone! Feel free to leave a comment with any questions, and I’ll answer them in a future blogpost. And expect a blogpost about the item rebalances and bugfixes in a LENGTHY blogpost in the next three days. 284,677 lifetime hits, and we want more! 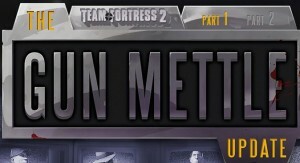 TF2 Major Update: “The Gun Mettle Update”!! Subsequent patch notes at bottom of post; latest patch July 6th. 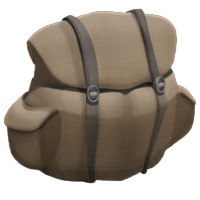 Here is the original TF2 blogpost announcing the update. Here is the TF2 comic that will attempt to explain the background story up until now. Here is the Page One splash page: The Gun Mettle Update! Here is the Page Two splash page: Describing the 3 new maps and the extensive weapon changes. You will want to scroll down to the heading “Gameplay Changes”; TF2 gameplay has been changed considerably! Some spies can gain a speed boost (on trigger with Dead Ringer; on kill with Big Earner). Spies take 20% less damage when cloaked. 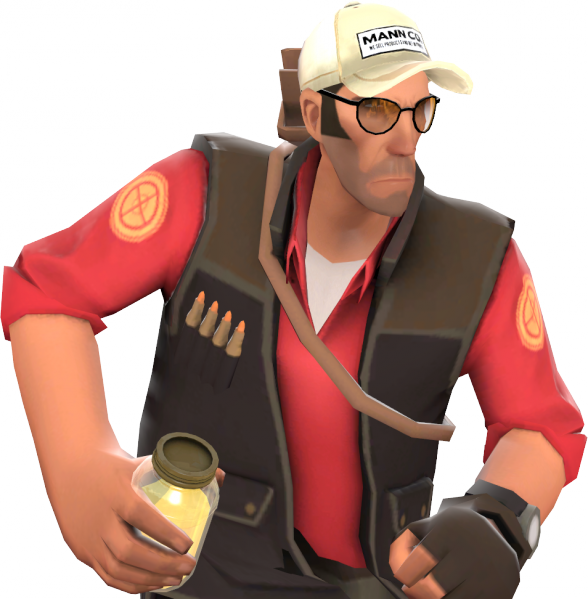 Sentries take more damage when sapped than before. Most Engineers build faster and move buildings faster. Repairing a wrangled sentry is less effective than before. Mini-sentries can be repaired, but don’t drop metal when destroyed. Soldiers deploying Equalizer/Escape Plan can be healed by a medic, but at 10% normal heal rate. Soldier’s Liberty Launcher is now a five-clip! Ullapool Caber does less damage than before. Charging Demomen now gain charge gauge on melee kills, not charging kills. Scorch Shot deals more damage, more knockback, and has larger area-of-effect. Vaccinator Ubers now always use just one ubercharge bar. Sydney Sleeper now applies Jarate with non-fully charged shots, but with a duration from 2 to 8 seconds. Bazaar Bargain charges much slower, but a missed shot doesn’t lose counted heads. Heavy miniguns are more effective at damaging sentries. Natasha and Brass Beast grant 20% damage resistance while spun-up or firing. Tomislav now spins up faster, fires 20% smaller bullet spread. Eviction Notice grants Heavy a 3-second speed boost on hit. Dalokohs Bar now overheals to 400 hp (previously 350), cooldown reduced to 10 seconds, can be thrown like a sandvich. Panic Attack shotgun now weapons switches faster, fires and reloads even faster than before. And here is a FAQ about some of the changes. The first splash page says that you can buy-in to a special three-month event (lasting until approximately October 1, 2015) for US$5.99. This will earn you a badge-like Campaign Coin that levels up as you complete contracts. Contracts are achievement-like “skill-based challenges” that you attempt to complete in a week’s time, such as tanking a lot of damage as a heavy or backstabbing five players of a specific class. Each player is assigned two different contracts to attempt completion each week (assuming that each week begins on Thursday at midnight GMT, like the item drop system). Completing a contract will earn you Contract Points (CP). Collecting CP levels up your coin (to bronze, silver, and gold) and lets you purchase your choice of either a random “Contract-exclusive weapon” OR an unlockable Weapons Case (that requires a key that you have to buy in the Mann Co. Store, I assume). 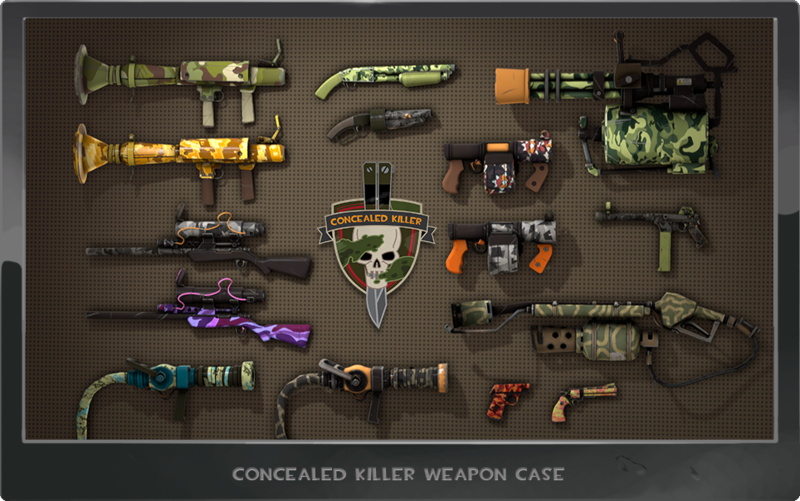 Weapons Cases also drop a single, random “Contract-exclusive weapon” but with potentially rarer qualities. Teufort and Craftsmann paint jobs come from completing Contracts only. 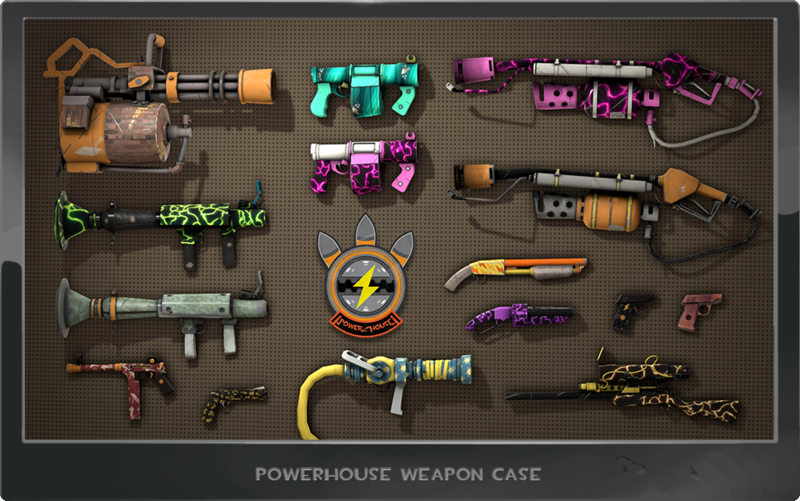 Concealed Killer (generally camoflage-themed) and Powerhouse (neon/electric-themed) paint jobs come from Weapons Cases only. 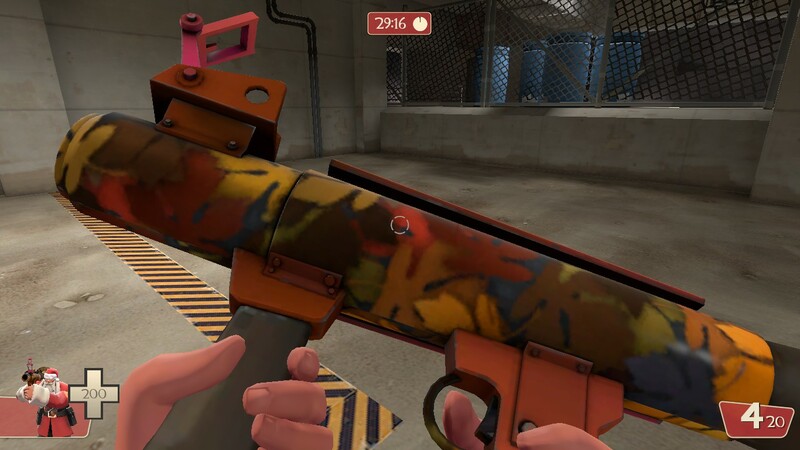 It is not known if any paint jobs are more/less rare than the others, but it can be assumed that Teufort/Craftsmann paints will eventually become more common than the other two. One of five levels of “wear”. Unknown if any level of wear is more/less rare than the others. Note: Weapons DO NOT wear when used. They are a given level of wear when dropped, and do not change later. One of six “grades” of rarity. Civilian is most common; Elite is most rare. NOTE: The rarity grade should not change appearance whatsoever. A weapon’s paint job, wear, and grade is entirely cosmetic and does not change its gameplay whatsoever. That’s not all. The weapon will be marked as Limited, and will have a chance of being Strange, Unusual, or even both Strange and Unusual! Will the Unusuals have unusual effects? Ummm…. maybe? 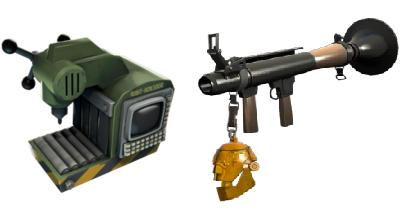 These are the first weapons able to have the Unusual quality. These weapons will be tradable and marketable. If you wish to trade or sell a weapon, look up its worth on the Market or another site like backpack.tf first, so you don’t get scammed. 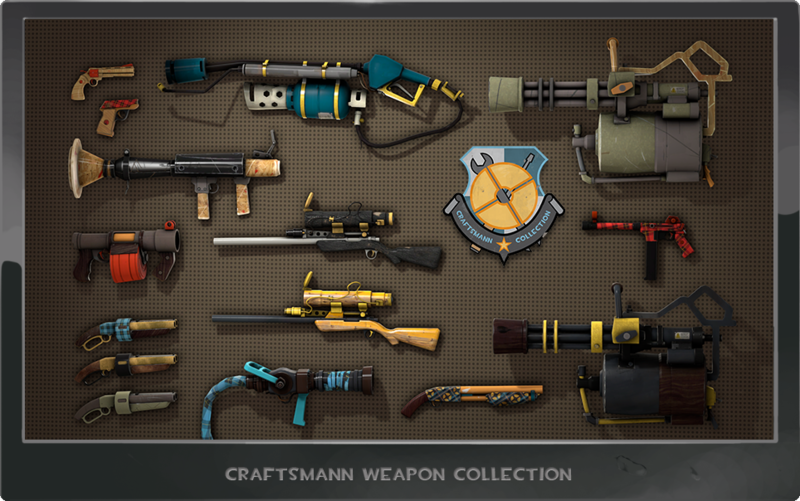 For example, a possible outcome for a single contract would be a Strange Freelance Shotgun for the Heavy with a Craftsmann yellow-and-blue paint job and a Minimal Wear grade. You can earn potentially two weapons per week, or perhaps two dozen weapons in all over the three-month event window. 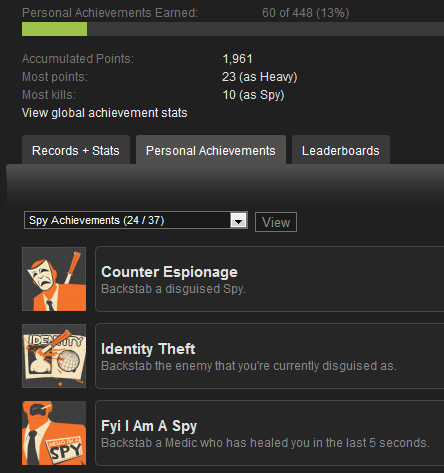 NOTE: These are all Valve-Official; none of them are Beta maps. See the second splash page for pictures. Powerhouse (I’m guessing cp_powerhouse) is a smaller, three-point control point map, where you have to cap all three points (yours, the central neutral cap, and theirs) to win a round. This looks like it was created by Valve, not the community. 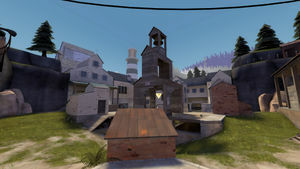 Borneo (I’m guessing pl_borneo) is an “Alpine-themed, single-stage Payload map” Community map. Suijin (I’m guessing koth_suijin) is a King of the Hill Community map with Oriental buildings and pink-white cherry blossom trees. Sun Tzu would approve. 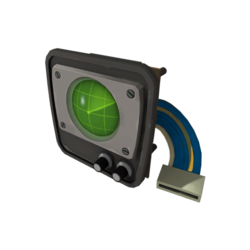 Snowplow (cp_snowplow_rc3) is a two-stage attack-defense Control Points map. First stage strewn with wooden buildings, second stage is very snowy, with a cart path throughout (but no payload to push). Yes, this is the Community map from the End of the Line Update that wasn’t approved the first time around. The following are permanent changes to how TF2 is played. Read carefully, and adjust your future play to these new mechanics. Previously: A killed character would drop a weapon gib, which can be touched by your character as a medium ammo pickup (and 100 Engineer metal). Now: A killed character drops a medium ammo box (identical to the medium ammo powerups on a map) and their weapon. 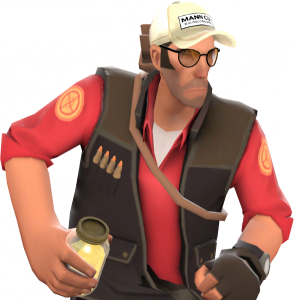 If the weapon is normally equippable by that character (such as a Shotgun dropped by an Engineer and picked up by a Heavy), and you pick up the dropped weapon by pressing the (default) F key, you temporarily drop your normal weapon in that slot and equip that weapon until you die. It will temporarily replace your usual item in its loadout slot until you die (i.e. 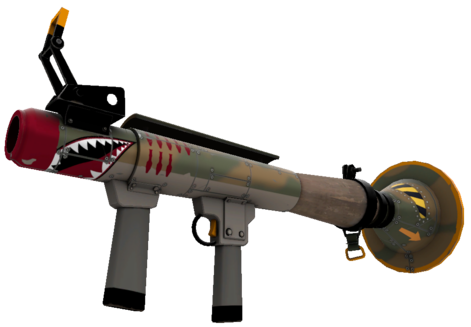 a Shotgun would replace a Heavy’s Sandvich). It will have the same looks and effects as the weapon had from the person you just looted (i.e. picking up an Australium Sniper Rifle and carrying it around with its cosmetic features). When you die, the weapon goes away, and you drop one of your weapons (essentially a lookalike copy of a weapon in your current loadout). Weapons that have charge meters, such as the various Medic uberguns, provide the amount of charge they had when dropped; a Medic can pick up a Kritzkrieg to find it fully charged! 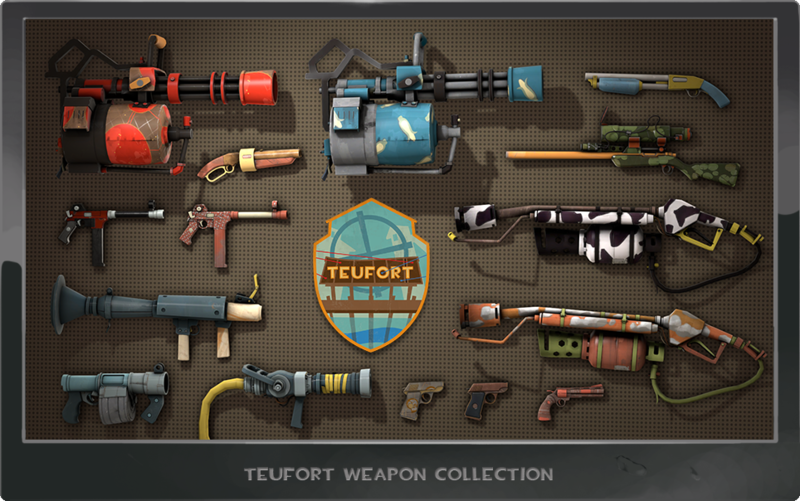 Worry not about losing a prized possession; your loadout items are retained in your inventory as usual. Someone may get to kill you and take your purple rocket launcher, then go around shooting people with a purple rocket launcher until they die. And you can kill them, take their weapons, and go do the same. No actual items are lost; however, you can drop a weapon that isn’t working and grab a class-allowed weapon in the heat of battle, CS:GO style. Weapons and ammo boxes now drop on death. See heading just before this one. 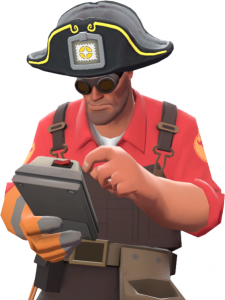 Inspect Target now inspects your own deployed weapon when you aren’t targeting anything. Necessary for Contract work, and to stare at your own fancy weapon. Random Damage Spread now DEFAULTS OFF on Valve servers. This means weapons will consistently deal the same damage with each hit. Previously, weapon damage would vary plus-minus 10% of its base damage. Now, each hit deals identical damage. Auto Reload now DEFAULTS ON. This affects new players only, so that they will auto-reload as soon as they stop firing, if able. All existing players have their usual setting, and will have to go into their Options menu and toggle this on/off. In the disguise menu, pressing ‘reload’ will also toggle the disguise team. 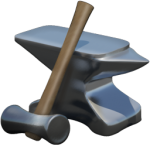 Construction boosts (wrench hits, redeploys) from multiple sources is now additive instead of multiplicative. Calculations are based around a 1x base building speed. Mini Sentry base build speed decreased. Mini Sentries that are wrench boosted build slightly faster than previously. Added 20% repair penalty. Repairs will give up to 80hp per swing instead 100hp per swing. Added Boost reduction on taking damage. Changed how health on hit works for radius damage. Is now capped per attack and scales with total damage done relative to base damage. i.e. doing 45 damage nets +10 health on hit as base damage is 90. Hitting 3 enemies for 45 each for a total of 135 damage only returns +20 health. Fixed an issue that caused rocket jumps to be decreased when it was active. Fixed a bug that gave Vaccinator patients full crit immunity. Vaccinator base resist does not grant any crit resistance. Vaccinator Uber deploys now always take exactly 1 bar of Uber charge. Vaccinator Uber deploys give the patient a 2.5 second bubble of 75% damage resistance of the current resist type and full crit resistance to that type. These bubbles do not disappear if the medic stops targeting the current patient. Multiple bubbles of different types can be applied to the same patient or multiple patients given the same resist uber each consuming 1 charge. Vaccinator uber build now suffers the same penalties as other mediguns when it comes to multiple medics on the same target and max overhealed patients. Charge rate penalty changed from -20% to -50%. 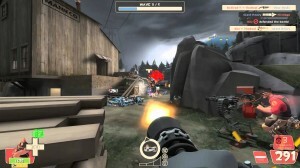 All minigun damage penalty on Level 2 and Level 3 Sentries slightly decreased. Level 2 Sentry resistance changed from 20% to 15% and Level 3 changed from 33% to 20%. Updated description to note that these items can be thrown (alt-fire) to supply players with a medkit. Fixed newly created items not becoming Strange quality, despite receiving the ability to track kills. Existing items in this state will not be retroactively fixed. Fixed skinned weapons appearing differently after being traded or listed on the Steam Community Market. Affected items have been reverted to their original (permanent) appearance. Reverted the ability to giftwrap stock weapons. P.S. Oh, by the way, there are also three new taunts. See splash page two. At the moment, they are only available by buying them from the Mann Co. Store. Don’t forget: The Newbs’ Medieval Arent Event is this Saturday, Aug. 16th! 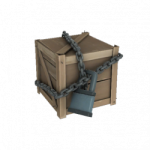 [EDIT: 8/15/14] Dota 2 is fundamentally changing its economy to remove Treasure Keys entirely. These keys, which used to cost $2.49 from the Dota 2 Store, were removed in the June 6, 2014 patch. Treasures now open without a key. Existing keys now expire on July 1st, 2015. You can redeem a Treasure Key for one unlocked Treasure of your choice. Use them before they expire! Mastery Gems have been removed, with their functionality merged with Kinetic Gems. 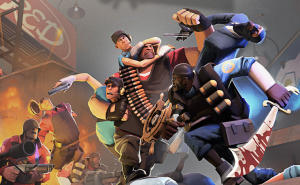 [EDIT: 8/15/14] Valve is now accepting merchandise design submissions via the TF2 Workshop. Click here for more info. Newbs’ #15 is now officially 24/7 Hightower. We’re stepping up the search for Jr. Admins and Server Starters. You can also win some free stuff! See this client post and this forum post for more info. TF2 patched yesterday. See below for full patch notes and see what’s in the new crates. The borders on all of the windows and popups are gone. The Steam Icon has changed. Plenty of Big Picture bugfixes. Mac OS X 10.5 will no longer be supported. This is its final patch. Games can be assigned to categories, and more than one at a time. You can now hide games so you/others can’t see them. Hiding games probably tells Valve what games users strongly dislike. Linux: Fixed audio being lost when alt-tabbing. Some newer NVIDIA hardward support has been added. Web browser updated for increased performance and stability. Crate #84 drops just standard killstreak kits, one primary weapon for each class. 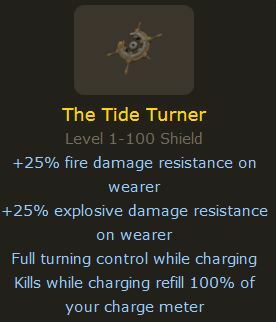 You now can has your very own Spycrab! Now available in digital cosmetic, and IRL plushie. These only drop standard Killstreak Kits. If you want to use them for crafting higher-tier Specialized or Professional K. Kits, make sure you apply them to a Unique-quality item only! See my guide for more information. Updated the Classic to allow for Name Tags, Gift Wrap, and Strange Parts to be applied. Add “Hide this game in my library” functionality, accessible from the Set Categories menu. Games that are hidden will not show up in library filters except for a new filter called “Hidden”, which will only appear once at least one game is marked as hidden. Hidden games are still available for play and will still appear on the user’s profile. Add an “Uncategorized” filter in desktop library filter drop downs. 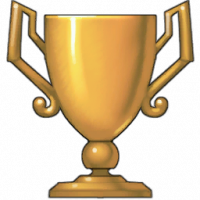 This will appear when a user has at least one game in a category and at least one game that has no categories. When filtering by favorites or by owner, display only a single section instead of all the sections that the games are in. Make type-to-search properly expand categories in list view. Better synchronize type to search between library views. Remove user categories from navigation bar hover menu. They are still available in the game filters drop-down in the library views. Improve category collapse state synchronization between library views. Synchronize selection between main window library views and Small Mode. Added support for NVIDIA hardware encoding for D3D9+ games on GeForce 650+ cards and the latest NVIDIA drivers. You can enable this by turning on hardware encoding in the advanced options on the host computer. Fixed games detecting both local and streaming controllers; streaming controllers take precedence if they are connected. The TF2Newbs Blog hit 200,000 lifetime hits yesterday! Thanks to all of our visitors, regulars, donators, and admins! Stay tuned for a fun event in the works in July! If you want to donate, click here. Steam Summer Sale is on! Five new TF2 weapons… and they’re not reskins! MvM Killstreak Kits for the new weapons can also be earned or Marketed. Craftable for a limited time: Bread Boxes! Mann Co. Stockpile Crates added to the droplist. They can be “shuffled” to drop one of four possible items. Mann Co. Audition Reels added to the droplist. They contain taunts, with a rare chance at an Unusual Taunt with unusual effects, very much like an unusual hat. “Taunts” are no longer in the “Action Slot”, and are now in their own “Taunt Menu”. You can now equip multiple Taunts at once. Partner Taunts can now be performed with enemy team members, not just your own. Pressing the Taunt key once opens a Taunt Menu for you to choose from multiple equipped taunts. Pressing the Taunt key twice performs your weapon taunt, or joins in with a partner taunt. “Head” and “Misc” slots have been changed to “Cosmetic” slots. Granary and Harvest Event have been updated for collision, bugs, and to prevent building inside spawn doors. Halloween Event maps now have Halloween Mode auto-enabled, so Halloween items can be equipped. About time! 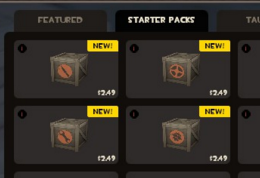 Crates now show which Unusual series are potentially (1% chance) dropped if opened. 1. Steam Summer Sale 2014 IS ON! What else is there to say? Uh… Half-Life 2 is $2.49…? Follow this link to earn Summer Cards, Badges, unique prizes, and even free games from your wishlist! The Hitman’s Heatmaker can now activate your Focus on demand, by pushing the reload button. Previously, the Sniper automatically began burning Focus as soon as the gauge filled. Axtinguisher (and the Postal Pummeler, I assume?) no longer automatically crits a burning enemy. It only mini-crits a burning enemy, unless you hit the burning enemy directly from behind, where it still causes full crits. The Bushwacka no longer grants random crits. It still grants full crits whenever it would normally mini-crit, such as hitting a Jarate-soaked enemy. Demoman stickybombs now have damage ramp-up, reaching full standard damage after two seconds. This means that stickybombs detonated as soon as they are armed, such as when they are still in mid-air, will do substantially less damage. This will profoundly effect the way many TF2 players play the Demoman. Sentries now have damage and accuracy ramp-up, with full standard accuracy and damage reached after one second of firing. So the first few bullets will do less damage, making them less lethal when peeking around corners or darting from one wall to another. Sentry bullets are now affected by damage fall-off outside of their normal scan range, based on the placement of the sentry and not the Engineer. For instance, wrangled sentries shooting beyond where they would otherwise detect enemies will deal less damage based on how far away their target is. 2. 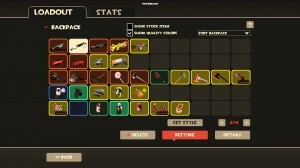 Five NEW Team Fortress 2 Weapons! 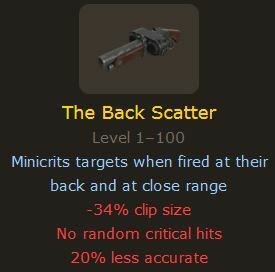 This new primary weapon for the Scout functions like a scattergun, but deals mini-crits when you hit someone directly in the back. But it is a little less accurate than the stock scattergun, and only has a 4-clip as opposed to the scattergun’s six. But then, attacking from behind is one of the Scout’s strongest methods of ambushing the unwary. 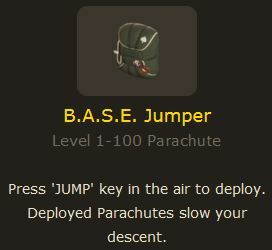 This is a parachute for the Soldier, hinted at a few days ago on the Official TF2 Blog. If equipped into the secondary slot, you can press the jump button while in midair to deploy and you can fall slowly, extending your jump. And while you’re hanging around up there, feel free to lob some rockets at the bad guys! However, you’re a sitting duck for Snipers, Pyros with flare guns, or skilled Demomen. Fortunately you can hit the jump button again and undeploy/redeploy during the same jump! The parachute is also great for not taking falling damage. This secondary weapon for the Demoman is the steering wheel of a ship, and functions as a shield. It lets you lots of ability to turn as you charge, and some fire and explosive damage resistance. And if you kill something while charging or impacting, you can charge again! This primary weapon for the Sniper, a take on the H&K G36, gives you some freedom that other sniper rifles don’t have: this weapon charges its focus even when you’re not scoped! However, you cannot score headshots–scoped or unscoped–until it is charged. It does slightly less damage with all bodyshots, too. But no doubt, some players will try to headshot while unscoped. 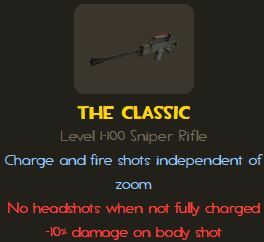 The Classic fires differently than other sniper rifles, however. You hold the fire button down to begin charging your shot, and release the button to fire. This primary weapon for the Soldier is a rocket launcher that makes your rockets fire if you are in midair from a rocket jump. It holds only three rockets, but as you earn kills, the clip size increases! It deals less damage than standard rockets, and its rockets have a slightly smaller splash radius. 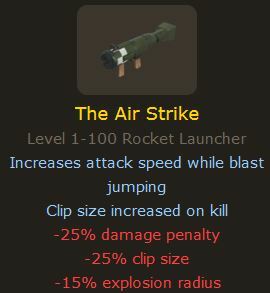 If you’re skilled with the Direct Hit and enjoy rocket jumping, you may want to give this puppy a try. These are unnumbered crates that will drop a community-made cosmetic item from this update (or the usual 1% of the time, an Unusual instead). This is new: the drop list of the crate can be shuffled! 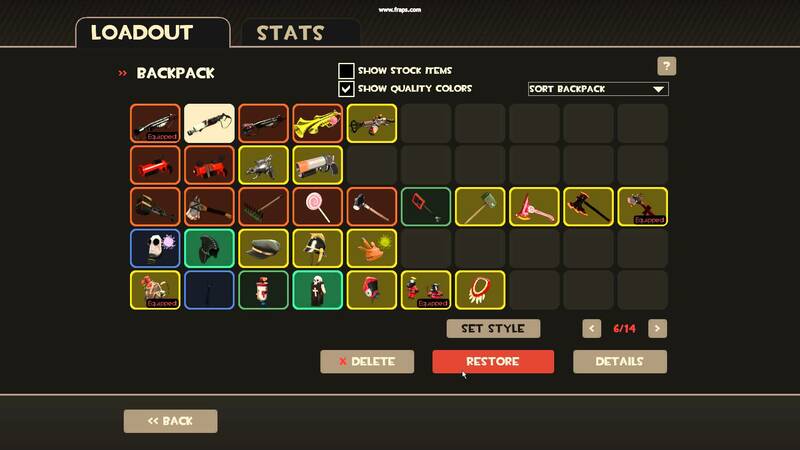 When the item drops, it has a drop list of four possible cosmetic items with pictures of the item. Not impressed with the drop list? Shuffle it by typing it a word into the blank–which is used for the random seed–and it will give you a different drop list of four items. Use any word at all; the same word will grant the same list of items. So remember keywords you use if you’re trying to pull a specific item; you still have a one-in-four shot of getting a desired item. The keys themselves are the usual $2.49, and neither the Stockpile Crates nor the Keys have an expiration date. These are a type of crate that only have taunts inside. I don’t think they need keys; you open one, and it grants one of the 15 taunts released in this update. Since they open for free, I assume that they will drop more rarely than common crates. Choose three headgear items that are craftable, which are spent to create the Bread Box. These items have a chance to be Strange quality, else they are Unique quality. 5. 43 New Cosmetic Items! As usual, lifted from The Official TF2 Wiki. Added Bread Box Special Crafting Recipe. This recipe will no longer be available after July 9th, 2014. Items from the Bread box have a chance to be strange. All Demoman stickybombs now have damage ramp up. Full damage is reached 2 seconds after firing. The Loose Cannon’s cannon ball explosions now use a deeper sound. 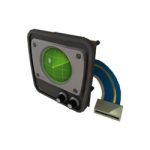 Fixed Doomsday lagging every time the Australium respawned. The scoreboard now displays support points and damage dealt on non-MvM maps. Added a crafting recipe for The Back Scatter. Fixed a client crash caused by Strange Fists. Fixed players using the partner taunts to enter enemy spawn rooms. Fixed a regression with the Disco Beat Down unusual effect. Fixed The Classic automatically zooming in after going through a teleporter while charging.